Put the dried figs into a saucepan, add the cinnamon stick and cover with the Floc de Gascogne. Leave the figs to cook gently for about 20 minutes. Put the young spinach leaves in a salad bowl and season them lightly with Espelette pepper, a pinch of salt crystals and a little olive oil. 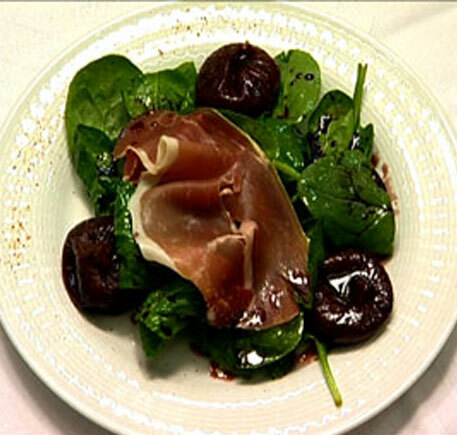 Lay up your plates with young spinach leaves and three figs (these can be warm or cold). Place a slice of Bayonne Ham on the plate, decorate it with a little of the Floc reduction and sprinkle a little Espelette pepper to bring a touch of colour to the plate.